For trucking companies operating in California, adhering to Department of Transportation (DOT) and Federal Motor Carrier Safety Administration (FMCSA) regulations likely rank among your biggest headaches. If you’re searching for an efficient way to keep up with local laws and regulations, file required compliance papers and registration forms and ensure your drivers are documented and qualified, US Compliance Services can help. We are full-service providers of trucking compliance assistance in California, offering everything you need to ensure you’re following the right procedures to manage risks, avoid fines and maximize productivity. From professional consultation services to ongoing monitoring and management, we’re fully-equipped to lock down compliance so you can concentrate on growing your business. Whether you’re a trucking company owner or supervisor, ensuring that your fleet is running efficiently, as well as staying on top of industry trends is critical to remain productive and competitive. However, keeping up with ever-changing compliance standards, filling out and filing paperwork, ensuring that your fleet is following HOS requirements, making sure registrations are up to date and onboarding new hires can feel like a full-time job in and of itself. Let us help you with that. 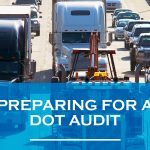 DOT Consulting Services: The DOT requires trucking companies to conform to a variety of rules and standards to keep drivers and their cargo safe and reduce accidents and environmental incidents. Our trucking compliance consultations help identify the most economical and efficient solutions to ensure each truck and driver in your fleet is following regulations. FMCSA Services: US Compliance Services offers filing assistance for documentation mandated by the Federal Motor Carrier Safety Administration. From making sure you’re prepared for safety audits, compliance reviews and roadside inspections to filing MCS-90 forms to demonstrate the fiscal responsibility necessary to transport hazardous materials, we’re your resource for everything you require. DOT Driver Qualification Management: The DOT has strict guidelines for documenting the qualifications and keeping detailed records of your drivers. 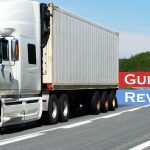 Our trucking compliance consultation services include monitoring and managing the process of filling out forms and paperwork covering everything from driver registrations and work histories to medical exams, physicals, road tests and more. Learn more by downloading our Driver Qualification File. IFTA Compliance Assistance: We are experts in understanding and interpreting the complexities of International Fuel Tax Agreement (IFTA) guidelines. Trust us with the accurate and timely preparation and filing of all tax-related IFTA forms. ELD and eLog Compliance: with the new ELD mandate, as a fleet manager, you may find yourself having trouble ensuring that all of your ELogs are accurate. US Compliance can help you keep track of your fleet, and prepare you in the case of an audit. If you’re new to the industry, our experienced consultants will get you up and running on the latest technology and informed on governing regulations to help you get the most out of the system. Take the safe path to trucking industry compliance by getting in touch with today. Give us a call today or contact us online for a free consultation.